Excellent Summary; Who could argue with that? Do you have 50 full-time employees? WOW!!! Thank you very much for sharing this “memo” with us. We are an SEO firm that encourages our clients to submit press releases and articles as part of their SEO campaign and while it’s obvious to us why this is important, sometimes in the moment when a client is confused, it’s hard to find the right words to help them understand why it’s so important and how it can help them… but this is a perfect description! Your growth is really amazing but it’s not surprising. You are always on top of all the issues involved with article marketing. Plus, you are one of the few who don’t just think about themselves but also give a lot back to your members and publishers. EzineArticles is a window to the e-world for me. I am a new web owner and building it all myself. Being 52 years of age, I am not of the technological generation. I tried other article submission sites and found them confusing. This site seemed to work at my first attempt and has boosted my confidence as a member of the e-community. I am amazed at the views of my articles and the clicks on my URL. It is simple to use and it works! Thanks!! Hi i am a research based article writer, but i heard about EzineArticles.com yesterday from my friend, can you tell me how i can write and achieve more visitors for my website through EzineArticles.com. pleas i am waiting for your reply. If you have any further questions please feel free to reach out to our Member Support Team via the Contact Us button inside your EzineArticles account. They will be happy to walk you through any specific questions you may have along your article writing journey! This could very well be titled, “Benefits of Article Marketing.” Great list. EzineArticles.com is like a brand maker to me. The simplest way to brand yourself as an expert and gives you credibility. 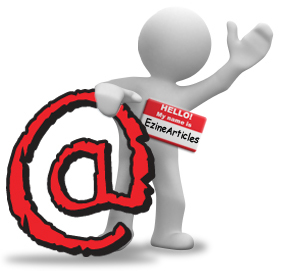 EzineArticles is a forum that gives supports, suggestions, information, and stays in contact encouraging its writers. It is professional and yet also puts some fun into it that makes for an actual relationship. It is evident that is continually improves and listens to feedback. It shows pride in itself but also in its writers. It should be and I commend it for a job well done. Not only is EzineArticles.com fun to use but it gives a voice to otherwise non-published authors. Although EZine has nationally recognized authors in its arsenal, it gives the rest of us a non-threatening environment in which to flex our writing muscles. It helps us gain the confidence to move ahead with gusto in our writing endeavors. I just published four articles with you a week and a half ago. On one of them one of my key words was “lace curtain sewing instructions”. When you search this on Google two of my articles were 5th and 6th on Google’s first page. If you Google the much more generic keyword of “curtain sewing instructions” my third article appears as 6th on Google’s first page. I haven’t checked on my 4th article yet. You made a believer out of me. There will be many more articles submitted by me. Yes to all of the items you listed. For me it is another medium to share and help fellow business people get better marketing results while at the same time demonstrating the value of smart marketing! Wow, this is a whole new world for me, I have just grasped the concept. The problem is that I just can’t stop reading, so much to check out. Word Press is also a very intersting and diverse platform. As far as I am concerned, EzineArticles is THE Only Article Directory that REALLY brings a ton of highly targeted visitors to your website for free from the high quality articles you write. I love what you guys are doing, so keep it up! Chris, article marketing (EzineArticles only) is one of many marketing tactics we use to attract prospects to our websites. I can say that my website back-end stats have Ezines in the top 3 as far as referring websites go! Good summary Chris and 1m hits per day is a great achievement for you and your team. I agree re the need for highly targeted traffic to one’s website. What is interesting re Ezine is that there is a constant mathematical relationship between ‘reads’, ‘profile views’, and ‘url clicks’. About 12% of people who read one’s article view one’s profile and about 3% of people who read an author’s articles click to the website. And, of course, the next issue is what is the sales conversion rate from url clicks to one’s website? I enjoy writing the articles and helping people (stress management) but I am looking for ways to increase SEO, url clicks, and conversions. Thanks Chris for a great service. Having only started using EzineArticles.com since April 20, 2009, it has quickly become my ‘vehicle of choice’ in communicating my message to the internet world. I also greatly appreciate the ongoing education I am receiving from this site. I intend to be using it for quite a while. My anticipation is that my best articles are yet to come; but, come they will! Thank you so much for allowing me to get my message out there, for FREE! It would be kind of cool if each category had a summary of what kind of articles and topics generally go into that category. It might be good for the readers and ezine Editors on the main site, and it might be good to have this available in the Secured Author’s section; Why? Well, it seems that sometimes it’s hard to choose which category to place something. For instance, I’ve written a few articles lately on OSHA issues in the business section, but these articles could go into; Industrial Mechanical, Human Resources, Workplace Safety, Legal Regulation, Labor Law, Employment Law, and I think I found another one too. Having a summary would help for authors to pin-point, and although they would eventually figure it out, often the editors decide to throw it somewhere else to bulk up an under represented category instead. On the reader’s side, it would help them a lot, I know, since I read about 30 articles or more per day here (hell I ought to be an editor? ha ha ha). It might be good to have a paragraph of what to expect as one peruses that category. Additionally, at the bottom, there should be a link to other suggested categories too. So, we have some cross-linking going on for internet surfers, it will keep them on the site longer, bookmark it and maybe even choose to subscribe to various authors in certain categories. This is my comment, and although this is not the proper venue for making this suggestion, I hope this thought will find a home in your long list of things to consider as this system continues to grow. Other than Adsense income, I can’t see how you would generate enough income to pay 50 full time employees! But you do make a good point that perhaps we should include that same information on the 1st page of each category so that users & members both know what kind of content to expect from those categories. Thanks, yes, that is GREAT! I really appreciate that. “About this Category” – These are articles about…. Maybe in the Author’s Section you might have a click; “what’s this” next to the category fill in section? The Audio there are spectacular, awesome, no one else has those on any copycat article directory site, and so maybe a “what’s this” too, might help as well? It might speed up editing, as fewer articles would be missed categorized, and assist authors in learning about the categories, giving them ideas to write additional articles and for different cateogies while pin-pointing the category they are on? I am new to EzineArticles, having been introduced by esteemed member, Cy B. Hilterman, who posted his Review of my debut novel, THE EXECUTION OF JUSTICE. It is a great site, and I hope to learn valuable information from the members. It is one of the first sites I check (at 4 AM) daily, and one of the last I check around midnight each day. When I first started submitting articles to your site, I was really bad at forming thoughts that could extend in to more articles. Now I’m much better and what I liked and amazed me so much was being able to see the stats of how many people not only read but downloaded my articles for their sites. Of course, I don’t like the ones who have used my articles for spam. This site is a place for me to grow and learn whether I want to or not. Not only do I write occasional articles, but I read a lot of them, too. This could very well be titled, ‚¬“Benefits of Article Marketing.‚¬ Great list. How do you manage this ocean of creativity with 170k+ writers, thousands of articles every day and even find time to have blogs and queries answered? And it is so personal. Feel like in a family. I get ecstatic when my message notifier announces:’Chinmay Your Article is Accepted!’ EzineArticles is incredible. As a user, I would add that EzineArticles.com is the only article submission site that matters. What is EzineArticles.com to me? A place to write my thoughts and have them read. Like Chinmay … I get excited when I see that an article has been accepted by EzineArticles. I’m pretty new to article marketing, but have very quickly realised how amazing EzineArticles is. It offers so much more than other sites in terms of support and advice – and this is what we all need. For a serious Internet Marketer,there are perhaps only 2 ways to get highly targeted traffics with red-hot potential prospects/leads,namely: Pay-Per-Click and Article Marketing. PPC needs money whilst Article Marketing needs time and effort. Marketers have to decide which to invest in their business. I L-O-V-E, Love, LOVE EzineArticles… Thank you so much for giving me a voice to reach millions. I have had such a burning desire to write for many years, but did not know who to turn to to get started because I did not have working capital to publish my writings. Fortunately, this platform has been a blessing in disguise. It allows me the freedom to speak what is in my heart. Even better… People listen! Isn’t that great? Love it – Love it – Love it!!! That is all I have to say. i have experienced all these things wat you have said above and i have got huge benefit from EzineArticles to my existing weblog.thanks EzineArticles.